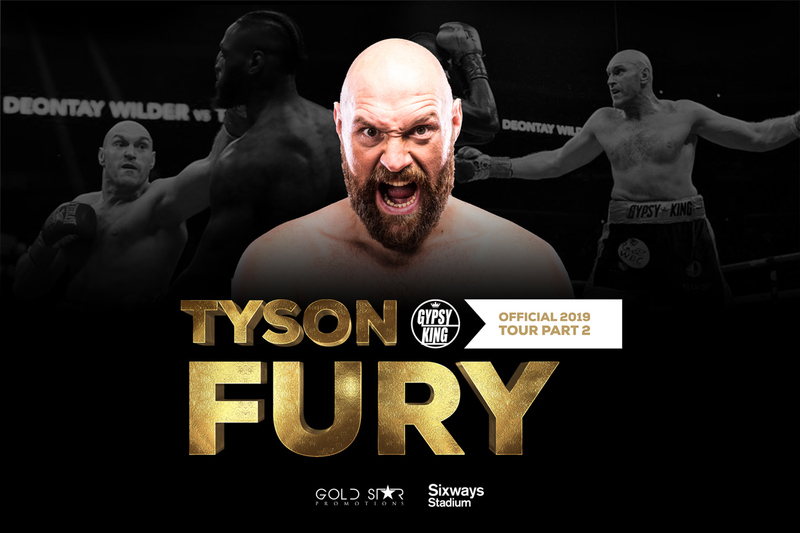 Former world heavyweight boxing champion Tyson Fury will be appearing at Sixways this summer on Thursday June 27 as part of his nationwide tour, just 12 days after he fights German Tom Schwarz in Las Vegas. When the second part of Fury’s tour stops off at Sixways he will discuss his career inside and outside of the ring which saw him crowned unified WBO (Super), IBF, WBO, IBO, Ring magazine and lineal heavyweight titles when he defeated Ukrainian Wladimir Klitschko. Please note that this event is being run by Gold Star Promotions UK.